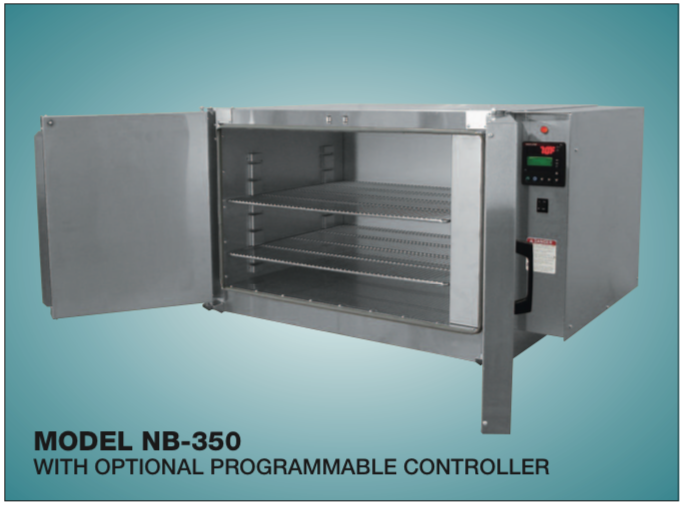 The NB-350 Forced Convection Bench Oven replaces the CR and PL series of ovens. It is economical, easily moved and makes an excellent low cost drying oven for many applications. The NB-350 provides 7 cubic feet of working space at temperatures up to 350 degrees F. The NB 550 provides operating temperatures up to 550 degrees F. Specifically designed for drying or shelf processing. Comes standard with 2 expanded metal shelves, on 2” centers, may use up to 4 shelves. Double doors make loading and unloading easy. The doors are sealed with a silicone rubber door gasket. The standard temperature controller is a calibrated controller to regulate the oven temperature (single setpoint). An independent manual reset excess temperature controller protects against failure of main temperature controller. An On/ Off switch located on the panel controls electri- cal power to oven. 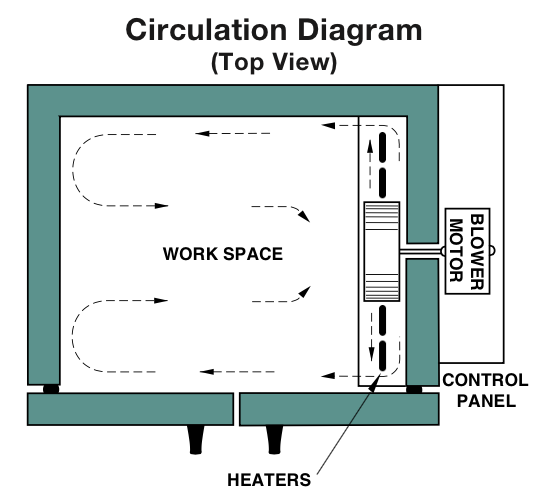 Red pilot light indicates heater operation.